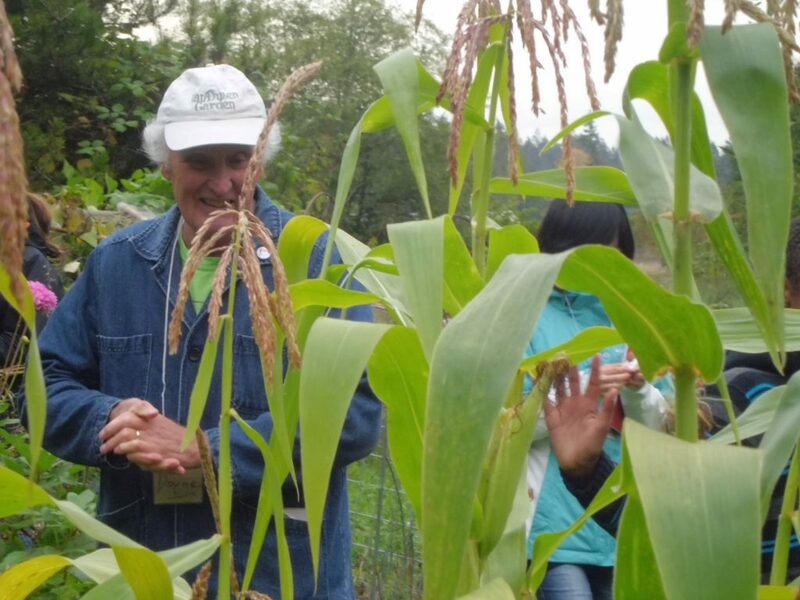 Doyne Sillery was a dedicated “Farm Friend” volunteer with the UBC Intergenerational Landed Learning Project from 2007-2016. He passed away on November 4, 2016 after a year-long battle with lung cancer. He was 84 years old. Doyne’s love of gardening and the outdoors began as a child roaming through endless fields in the UK growing up. He worked on farms as a teenager and even worked as a cowboy in Calgary for a year after moving to Canada in 1956. A year later, he moved to Vancouver where he chose another outdoor profession, working as a surveyor for the City of North Vancouver for 40 years. In 1983, he took his Master Gardener certification and was recently made a Lifetime Member of the Master Gardeners’ Association of BC. He was always interested in learning more. After he retired from the City of North Vancouver in 1996, he took courses in horticulture at BCIT and started dedicating his time towards volunteering. He was a volunteer guide at VanDusen Botanical Garden and also worked with their school program. 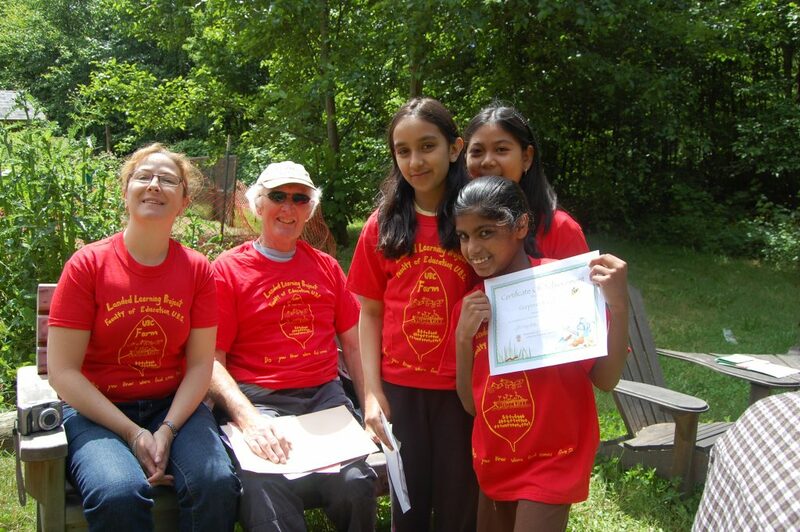 Working with kids in nature and the garden was something that brought Doyne much joy. He loved educating kids on plants, bugs, and nature. He believed everyone should have a connection to the world around them, especially the connection from soil to plate. He believed in stewardship. And Doyne didn’t just love growing food, he loved cooking it and feeding people as well. All these things contributed to Doyne’s dedicated participation and belief in the Intergenerational Landed Learning Project at the UBC Farm. As a Landed Learning volunteer, he dedicated hundreds of hours over nine years, mentoring dozens of children and young adults to grow and cook food together. Doyne was a loving father to four children and a cherished grandfather to four grandchildren. He was also a mentor, friend, surrogate father, and surrogate grandfather to so many. He is greatly missed. They say that no one is really dead until the ripples they cause in the world die away. By donating to the UBC Intergenerational Landed Learning Project in Doyne’s memory, you are contributing to making waves, not just ripples that will last much longer in this world than any one person. 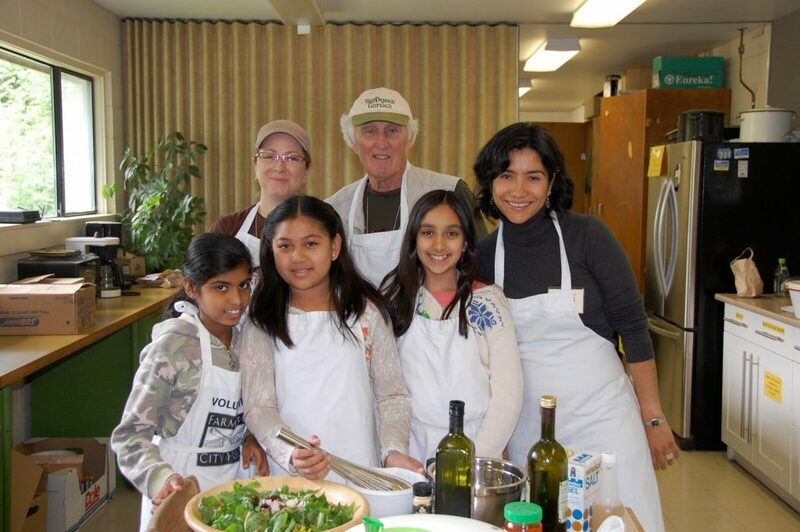 Your generous gift made in Doyne’s memory will support children in the Intergenerational Landed Learning Project to learn to prepare and enjoy eating healthy foods they grow in the garden. Doyne was an amazing person to work with! I had the honor of sharing with him at least one day every week for more than 7 years. I learned so many things with him, he was always there for me when working together at the Landed Learning Project. We cook together, we plant together and we laugh a lot together. During the interviews I conducted for my dissertation Doyne was remembered by the children as an epic Farm Friend! 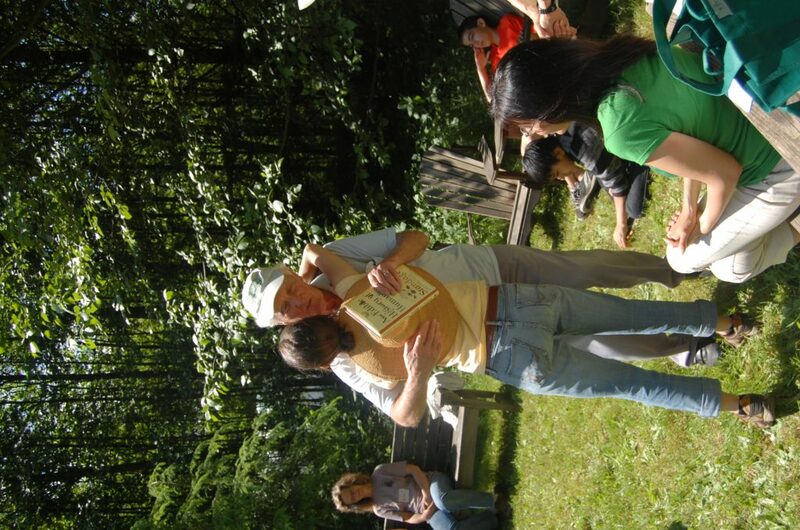 In my experience, there were precious few men among the Farm Friends in the Intergenerational Landed Learning Project. Doyne’s presence stood out partly for this reason. But it was also due to his silver hair and stature and how he radiated wisdom, and tolerance and good humour. The school students on his teams appeared to believe themselves uniquely privileged and they behaved remarkably well, even adoringly. The rest of us (mostly women) were a bit envious of such harmony but secretly we thought of ourselves as being on Doyne's team too. He was a steadfast mentor. Doyne’s eventual absence from the Farm, and then his passing, left a big man-sized hole in the life of the Project. How wonderful that his generosity will continue in another form…which seems fittingly organic. New shoots will grow. Doyne’s commitment and contributions to the Intergenerational Landed Learning project have been hugely influential and will endure. He came to volunteer as a Farm Friend in 2007 and stayed on and on. 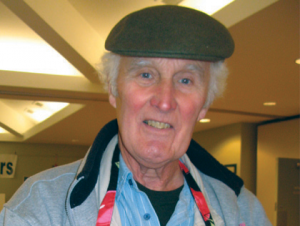 Doyne quietly shared his knowledge of, and passion for gardening and plants, and gently helped the countless children understand the importance of caring for the green world. He once told me he believed this was most meaningful and inspirational volunteer work he had ever done. It was an honour to have known Doyne; his smile, spirit, energy, wisdom and caring ways will be missed. It is hard to capture in a few short words what Doyne meant to me. He was an irreplaceable friend and mentor, and I still can't quite believe we wont be choosing tomato seeds together from the catalogs this winter. We didn't get to see each other much after I moved from Vancouver, but this was one ritual that persevered. Among others were: noodles on Lonsdale St; reminiscing about the kids we worked with over the years at Landed Learning; and mutual mock-scolding about not keeping in touch enough. I will miss them all, but mostly I will miss a friend who was unfailingly kind, gentle and wise, and from whom I learned a lot of important things. Doyne was so special. 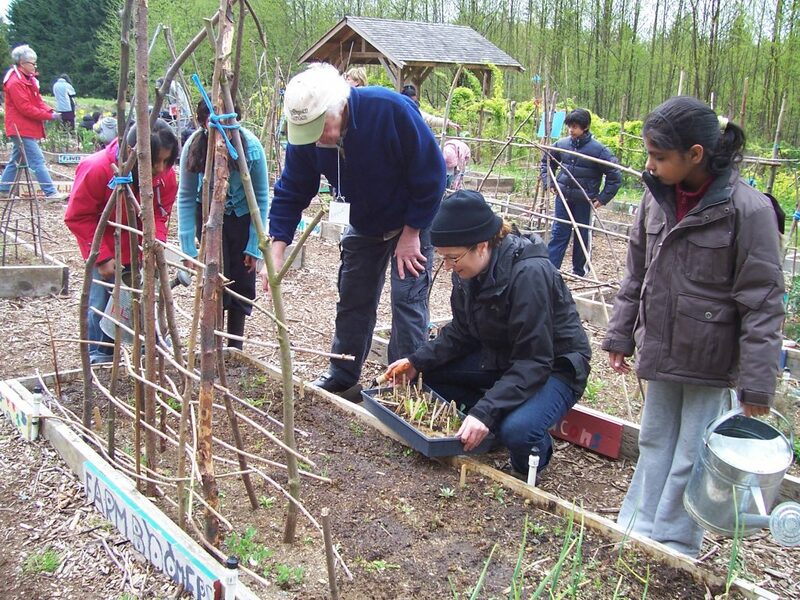 He began volunteering at the Landed Learning program at the UBC Farm the same fall that I did. The more time I spent with him over the years, the more I realized what a deeply caring person he was, both for the children and for the earth. He got to be known as the one to go to with any questions about growing vegetables. He was a "no nonsense" person but very kind to all. We've really missed him at the Farm in the last year. Doyne was an incredibly dedicated and caring Farm Friend volunteer with the Landed Learning project and in many other activities around the city in which he inspired countless children and young adults to care for themselves, each other, and the world we share. Doyne never missed a day of volunteering...for 8 years...even when he had to walk with a cane. He had a positive spin on every experience and brought his incredible perseverance, love of nature, and commitment to caring for the well-being of others into all of his work in the world. He has made an indelible mark on our garden, the Landed Learning Project, and the hearts and minds of so many. I met Doyne through a volunteer experience in VanDusen Botanical Garden. Doyne was always so warm and genuine to people. I admired his commitment in the garden, especially during the guiding seasons, and his continuous involvement with children's education programs. He also joined a monthly reading club in the garden library. From time to time, he would bring his grandchildren to the garden and we got to see his loving side as a grandpa. With a positive attitude, Doyne demonstrated a beautiful life through his living and his giving. I was fortunate to have Doyne as my farm friend for a year. Our students looked up to him so much -- they were always eager to show Doyne what bug they had found and what new vegetable they were willing to try to impress him. We were all deeply lucky to have Doyne as a role model. Doyne was such a lovely, gentle, and pleasant person to know. His love of gardening and the pleasure he would take in giving informative tours in his backyard sanctuary are memories which I'll keep with me. His love for children and commitment to his community defined him. As his niece living on the other side of the Canadian continent and Atlantic Ocean, I didn't see my Uncle as often as I would have liked. But those occasions we did meet were very special, and he had a special place in my heart. I will miss him dearly. 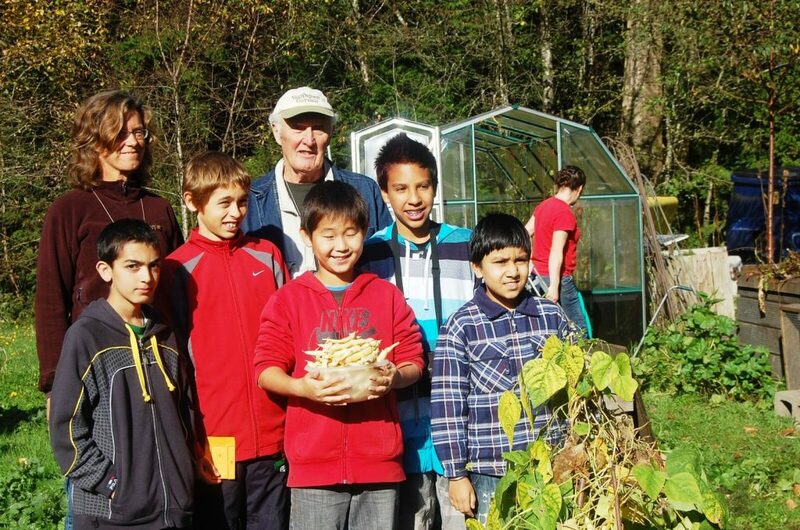 Doyne will be so missed especially by the children and colleagues who he mentored at the UBC Farm. He was so warm and kind and open to sharing his wealth of gardening/life skill information with all.